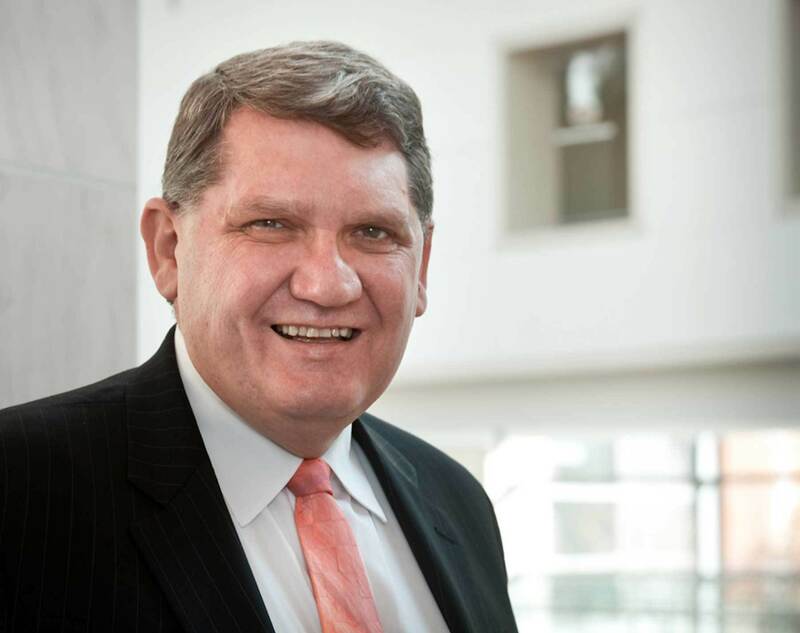 Dan L. Monroe, The Rose-Marie and Eijk van Otterloo Director and CEO, has held the top leadership position at the Peabody Essex Museum since 1993. He led the transformation of PEM through the consolidation of two small, venerable museums — the Peabody Museum of Salem and the Essex Institute — to one of the largest and most dynamic art museums in the nation. Under his leadership, PEM has increased its operating budget from $3.4 million to $30 million, its endowment from $23 million to more than $400 million, direct attendance from 80,000 to more than 250,000, and attendance at PEM exhibitions across the nation from zero to more than 500,000. Monroe has spearheaded two major expansion projects: a 113,000-square-foot addition designed by Moshe Safdie that opened in 2003, as well as an 80,000-square-foot Collection Stewardship Center and 40,000-square-foot new wing planned for completion by 2019. During his tenure, the museum has made several thousand acquisitions, valued at more than $70 million. PEM also acquired Yin Yu Tang, the only complete antique Chinese house located outside China, and renovated and restored existing facilities. Staff has increased from 80 to more than 300. The $650 million landmark Advancement Campaign Monroe is leading will advance the museum's mission to celebrate outstanding artistic and cultural creativity in ways that transform people's lives. The museum has received gifts and pledges totaling more than $570 million during the quiet phase of the Campaign initiated in 2006, a testament to extraordinary philanthropy on the part of remarkable patrons and to exceptional teamwork on the part of the Board of Trustees and the staff Executive Leadership Team. This is the third-largest campaign among North American art museums in the last 20 years. It includes a $350 million addition to the endowment, $100 million towards infrastructural improvements and $200 million towards an expansion program. Monroe is past president of the Association of Art Museum Directors, the American Association of Museums and the Western Museums Conference. Monroe helped write and pass federal legislation known as the Native American Graves Protection and Repatriation Act (NAGPRA) of 1990 and served on the NAGPRA Review Committee for more than 10 years. He is a grant reviewer for the National Endowment for the Arts, the National Endowment for the Humanities and the Institute of Library and Museum Services. He was a senior adviser to the Getty Institute's internationally acclaimed Museum Management Institute. On the national and international stage, Monroe has lectured on a wide range of topics related to museums and their future. He was featured speaker at national museum conferences in Japan and Korea. He co-authored Gifts of the Spirit and has organized or co-curated several exhibitions in the fields of photography, contemporary art and Native American art. Monroe has also been a professional musician, an art photographer and an award-winning filmmaker.